Author and journalist Stephen Harrigan joins us this week, talking about his latest book, THEY CAME FROM THE SKY – THE SPANISH ARRIVE IN TEXAS, A Preview of a Forthcoming History of Texas (University of Texas Press, 2017). We invite you to scroll through our previous episodes below — you’ll find the audios on each page. If you’d prefer listening to our podcast, just head over to iTunes. For show updates, please follow us on Facebook and Twitter. STEPHEN HARRIGAN is the author of eleven books of fiction and nonfiction. 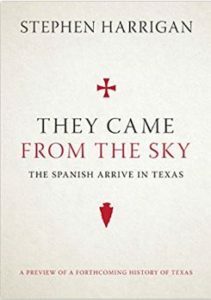 His latest is THEY CAME FROM THE SKY – THE SPANISH ARRIVE IN TEXAS, A Preview of a Forthcoming History of Texas (University of Texas Press, 2017). Stephen’s previous books include A Friend of Mr. Lincoln (Knopf, 2016), Remember Ben Clayton (Knopf, 2011), and The Gates of the Alamo (Penguin, 2001). 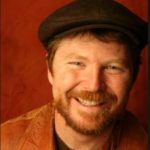 Stephen’s books have received the James Fenimore Cooper Prize, The Western Heritage Award, The Spur Award, and The Jesse H. Jones Award, among others. 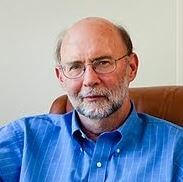 He has received the Texas Book Festival’s Texas Writers Award and the Lon Tinkle Award for lifetime achievement from the Texas Institute of Letters. He is also a member of the Texas Literary Hall of Fame. As a screenwriter, Stephen has written many movies for television, including HBO’s award-winning The Last of His Tribe and King of Texas for TNT. His screenplay, Young Caesar, co-written with William Broyles, Jr., is currently in development with Exclusive Media. Stephen is a graduate of the University of Texas, and he is a faculty fellow at UT’s James A. Michener Center for Writers and a writer-at-large for Texas Monthly. 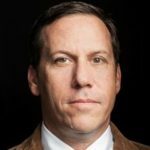 In the fall of 2018, the University of Texas Press will publish the inaugural volume of the Texas Bookshelf, a major new history of Texas by Stephen Harrigan, the New York Times best-selling author. The Texas Bookshelf promises to be the most ambitious and comprehensive publishing endeavor about the culture and history of one state ever undertaken. Comprised of in-depth general-interest histories of a range of Texas subjects—politics, music, film, business, architecture, and sports, among many others—the Bookshelf volumes will be written by the state’s brightest authors, scholars, and intellectuals, all affiliated with the University of Texas at Austin. Published in a signed edition, They Came from the Sky offers an exciting preview of Harrigan’s sweeping, full-length history. This tantalizing “short” begins with the earliest native inhabitants over ten thousand years ago and continues through the ill-fated Spanish explorations of the sixteenth and early seventeenth centuries. In its pages, we encounter the prehistoric flint producers and traders who were Texas’s first entrepreneurs; Spanish castaways and would-be conquerors; the Karankawas, Querechos (Apaches), and Caddos, whose lifeways were forever changed by contact with Europeans; and the “Lady in Blue,” an abbess who mysteriously claimed to have visited the “Quivira and the Jumanas” in Texas while remaining within her Spanish cloister. Bringing Stephen Harrigan’s formidable narrative talent to the founding story of Texas, They Came from the Sky constitutes the vanguard of a major publishing event. –University of Texas Press. For more information on Stephen, we direct you to his website. You can also follow him on Twitter and Facebook.